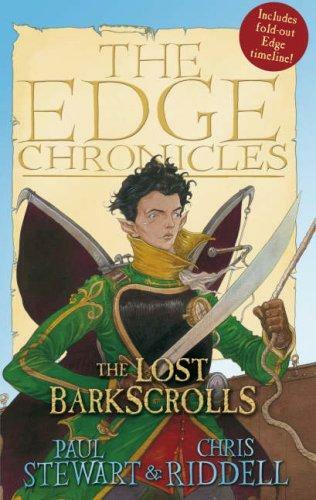 A fantastic new adventure in the world of the Edge Chronicles. These exciting new tales are ideal for those new to the Edge, or as an addition to the collection of any fan. The edition includes the stories CLOUD WOLF and THE STONE PILOT. It also includes a beautiful foldout timeline of the Edgeworld, linking all three trilogies together. Plot: This is actually a collection of four short stories, but all four were beautifully written. They fill in a few gaps between the trilogies, so the crazy fans (like myself! haha) can be fulfilled in knowing what happened in between. Setting: I liked how they had all the different places from all four stories. It was refreshing to be reminded of how much I loved the world in these stories! Overall: Of course, I loved these side books as much as the full series. I would advise if you are going to pursue this series however, to finish the ten books first, then these. Otherwise... there will be spoilers!